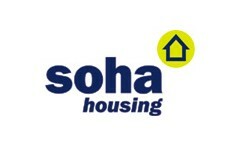 Soha Housing is a housing association that provides affordable homes for people who prefer to rent or cannot afford to own or rent a home in the private sector. We are a non-profit making company. Any money we make is invested back into the association for the benefit of our tenants. We manage around 5,200 homes and have a turnover of approximately £27.5 million.This makes us one of the largest registered social landlords in Oxfordshire.